Browsing through Ethiopian pictures on Flickr, I came across the one above. I glanced at the comments section and there was a guy complaining that the ad was senseless, among other things. So I took a second look and it really was terrible, terrible sentence. For starters, why is the word tigist in quotes? Do they mean patience or not? If the quotes have to be on anything at all, it should be on “second” … since technically that’s not an Amharic word. But what else should they use if they mean 1/60th of a minute? LOL. Well, I believe the Amharic word for second is sEkond. Ok, ok … maybe i’m nitpicking here! The worst offender is really the last word : ‘lemetadeg‘. Correct me if I’m wrong but for one thing, it’s not a word. At least not in Amharic. If they’re trying to say ‘to prevent the loss of life and property…’, the word they’re looking for is a variation of maged. For this case, they should say lemaged. Many people mess up ‘maged‘ and say, ‘metaged‘, which is really nonsense. But the ad didn’t even use lemetaged. They flipped some consonants (or entire feedeloch in Amharic) and ended up with lemetadeg. At best, the made up word at the end of the ad is a screwed up version of lemadeg. No f*%king kidding, Shell! A bit Hama Tuma-esque. This is from 2006. In 2010, it would of course be more appropriate for BP to sponsor this ad instead. I also just realized that I really don’t know how to say ‘mining’or ‘drilling’ in Amharic. Mts. Published by ityopyawit August 2nd, 2010	in African and Social. not 100% but i thought ‘metadeg’ meant ‘meTebek’ i.e. prevent. ‘maged’ could go d/t ways based on the use, to shepherd, to stop, or ‘memaged’ lol… this is a toughy nolawi ye matric fetena meselegn i should look it up oh wait i don’t have amharic dictionary! Sorry, i don’t agree with this blog … ! Metadege was used very appropriate in the ad…I agree with ep..
there is a word “metadeg ” in amharic and the closest translation is “to spare” .i don’t think they have used the word appropriately though.metadeg has more of a spiritual connotation to it .For example “egziabher yitadegenal ” would mean god will spare us or deliver us.They could have used very simple words to get the message across but then again someone chose to make it more complicated and nonsensical .second could also be replaced as “qitsbet ” . this is one of the reasons some amharic movies are eye crossingly boring .They use shakespeare like literary words to explain the easy stuff . what is the tigist for ? tigist as in your cell might be ringing off the hook but don’t pick it up while driving or tigist as in slow down you will be there in time or don;t drink and drive or what …..this is becoming more confusing by the minute . i confess i am so used to mcdonalized way of life that even the tiniest inefficiency irritates my finger nails like crazy. metadeg is proper….ep is 100% on point. @biskut i like yr explanation, you should be a teacher lol @ mcdonalized! The person most likely got the job because he/she knows someone, bribed someone or thinks perfection is overrated just like his boss. If you ever watch Ethiopian Idol, you will see the the amount of English used to people who barley know their ha hu… They just want things out there not quality control. The once that went to school to learn the language are the journalist or the undesirable. In the last 20 years I have seen atypical use of Amharic words, or creation of new words that were not in the Amharic vocabulary. “Metadeg” as used here might fall as an atypical use of an Amharic word when a person who doesn’t have Amharic as a first language and no sufficient training in it tries hard to make a strong statement. The typical use of “Metadeg” being it’s reference to being saved by God. Some of the new words are “Musena”, “Debab”, “temokero”,….These words may have Geez origins but I do not have enough knowledge in Geez to be certain. I didnt write this… but thanks! That was funny!! Lost in translation to boot! Metadeg means is Metebek malet neaw!! 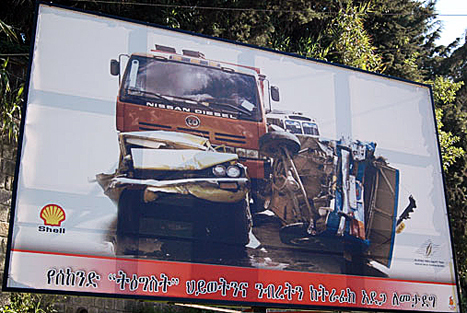 The word “LEMETADEG’ is a perfect Amharic word even though not utilized frequently before. It means to “save” “protect” or “shelter”. It could also mean to “defend” depending when and how it is used. Not sure why the OP would make such a horrendous claim as to say “Metadeg” is not an Amharic word, when it was used quite appropriately in this context (IMO). A pure Amarigna substitution for ‘second” would be “Qitsbet”. yes, qitsbet will be best. Thanks. “LE METAGED”…it means… ye rasinim hone yeswnim hiwot lemateref. or le mekelakel. By the way Bernos, it is not a terrible sentence. Actually it is the best message. They put TIGIST in quotes because that is the main point. “TIGIST YINUREN” when we are driving……antem bitihon criticize lemadreg atichekul “TIGIST” yinurih. (2) in full growth (children). So, ep et al are right, metadeg does exist and apparently not just in the religious sense. However, in support of the original post, there’s no metaged, but there is maged. (2) to forbid, suspend, stop the progress of. DerivedE.g. ??? – igeda, and ??? – mageja. @Hiwi you got both meanings on that one, I think you’d pass the matric fetena! I am sorry, you better not write this blog. What you say about putting the word “Tigist” in quotation is correct. But, I am afraid to say that “metadeg” is appropriate and much better than “maged”. I real glad to discover this internet web site on bing, just what I was searching for : D likewise saved to bookmarks . Great job on the post and site. I will have to keep visiting taking a look at other blog posts. I personally own and run a website and I understand the importance of quality content and it’s wide impact it causes on the quality of a website. I just wanted to hand out some props to you. Having read this I believed it was extremely informative. I appreciate you spending some time and effort to put this article together. I once again find myself spending a significant amount of time both reading and commenting. But so what, it was still worthwhile!